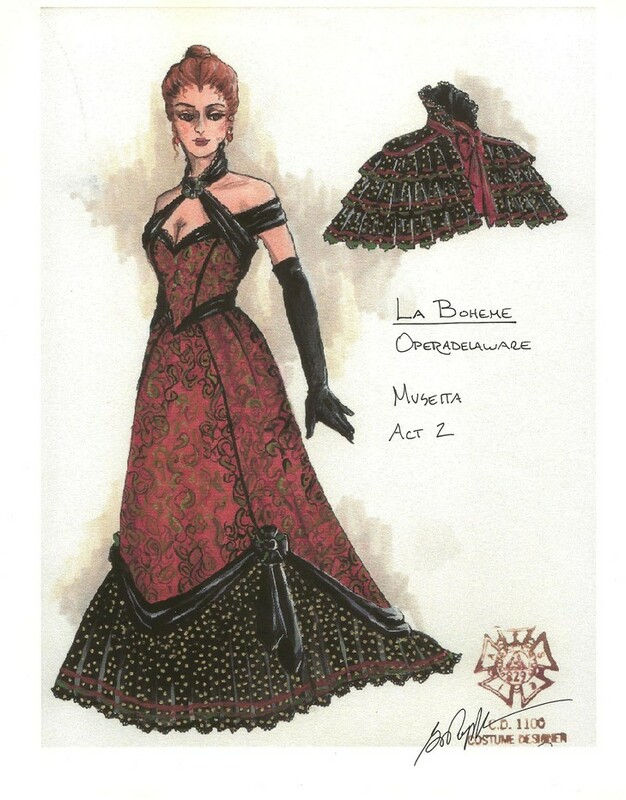 Costume design for Erin Windle as Musetta. 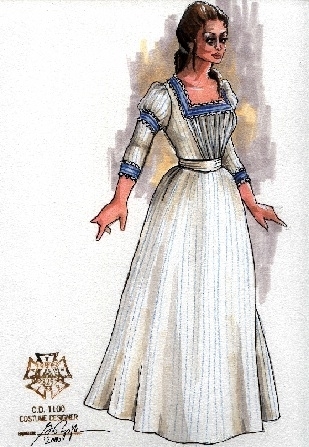 Costume built by Grace Costumes LTD.
Costume sketch for Kelly Kaduce in La Boheme. 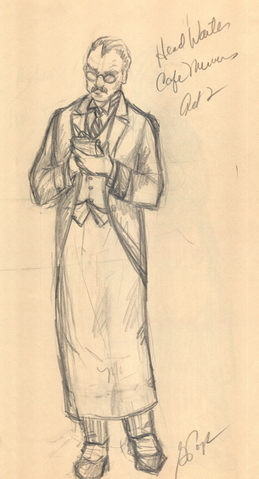 Costume executed by D.D. Dolan. 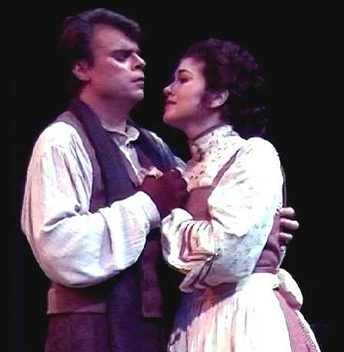 Barton Greene as Rodolfo and Kelly Kaduce as Mimi. 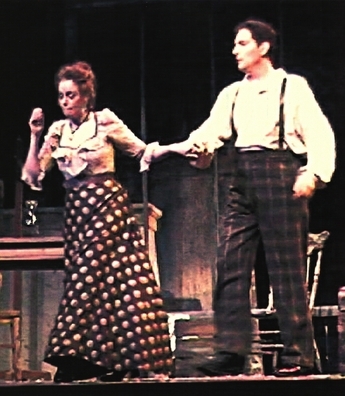 in La Boheme Act 4. 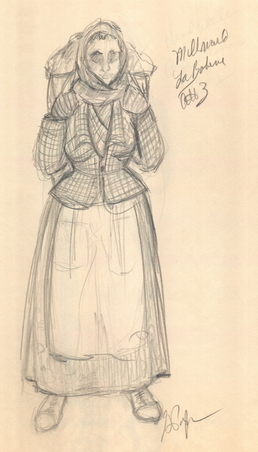 Costume made by Grace costumes, LTD.
Act 4 of La Boheme. customs gate in Act 3 of La Boheme. 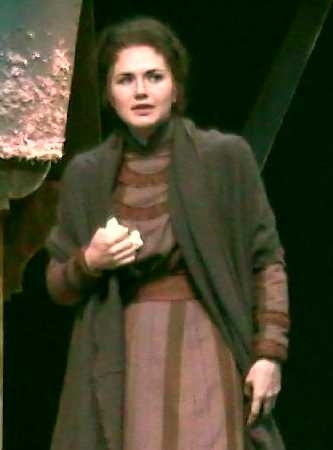 Kelly Kaduce as Mimi in Act 3 of La Boheme. La Boheme Act 1 . 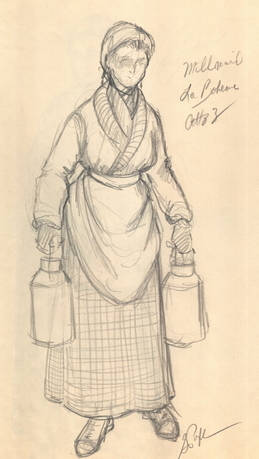 Costume executed by DD Dolan. Puccini's La Boheme for OperaDelaware.